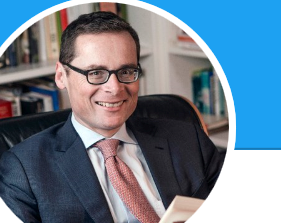 The publisher of conservative Swiss weekly “Weltwoche” and SVP National Council member Roger Köppel commented in an interview with the Baseler Zeitung (BaZ) on children skipping school to demonstrate for climate, and the climate movement in general. In the interview Köppel called the climate movement a “political mass trance that that is currently rolling over us” and that children have been prompted to skip school and protest an “infantilization” of politics. In the interview, Köppel notes that the planet has warmed “only one degree since 1860” and that this increase is nothing unusual in a historical context. There is no debate. “Truths” from on high (or the like) are not subject to question, much less debate. There can only be apostasy or heresy. It would be useful to know what kind of “reformation” to initiate here and how to start it. I agree, there is no debate and there shouldn’t be one at the level that climate skeptics on blogs like this one expect them to exist. Debating you guys seriously would give the impression that there could be something to what you propose is the truth. This gives a false picture to anyone following such a debate … like both sides were equal … the one who claims 1+1 is 3 and the one that says it’s clearly 2. Give it a bad name and people will think bad of it … what a strategy. Köppel notes that the planet has warmed “only one degree since 1860” and that this increase is nothing unusual in a historical context. Things skeptics tell themselves to justify being able to claim “it’s not that bad”. Why didn’t he say the oceans warmed by “just” 0.1°C? THE killer argument lately (at least here). On the contrary … to me, it feels like religion when someone says something can not be influencedd by men that so cleary is. That’s the same way of thinking as describing a “miracle” to godly power when there is a perfectly fine scientific explanation. Self-denial is also something that can be very clearly observed in climate skeptics who pick out one aspect to claim something ridiculous and next time claim something else that contradicts the first aspect. Or better yet, pick one thing from a paper while the rest of the paper doesn’t support what they say at all. When asked about this, they reply that those scientists “have to write those things” to get published at all. If that is not self-denial (or delusion), what is? What we currently have and can observe on many topics is indeed a dangerous situation. Uninformed people expressing their opinions on everything and expecting that their nonsense has to be taken seriously. They made up their own theories about how stuff might work and won’t ever listen to experts on the topic again since they feel they are being lied to by the elite anyway. Those people seem to have become more and more lately. And that’s dangerous when smarter folks don’t counteract this because they think nobody can be that “dumb” and it will pass. It won’t. Idiots get elected, tv stations and other media outlets give them platforms … we are headed into the future that is depicted in the movie Idiocracy if we continue on this path. See rest of article for examples of activist abuse of logic in service of advancing pseudoscience AGW nonsense. Bottom line – if you have evidence, then show it or shut up! But they have no evidence, so they can’t show it. And they have no shame, so they can’t shut up. Bottom line is if you believe Ed Berry, you are part of the problem, not the solution. And what would that solution be? Would it involve doing whatever you could to reduce your CO2 emissions impact? If so, you should be willing to permanently give up your global-warming-polluting smartphone, which is heating the planet and melting glaciers. 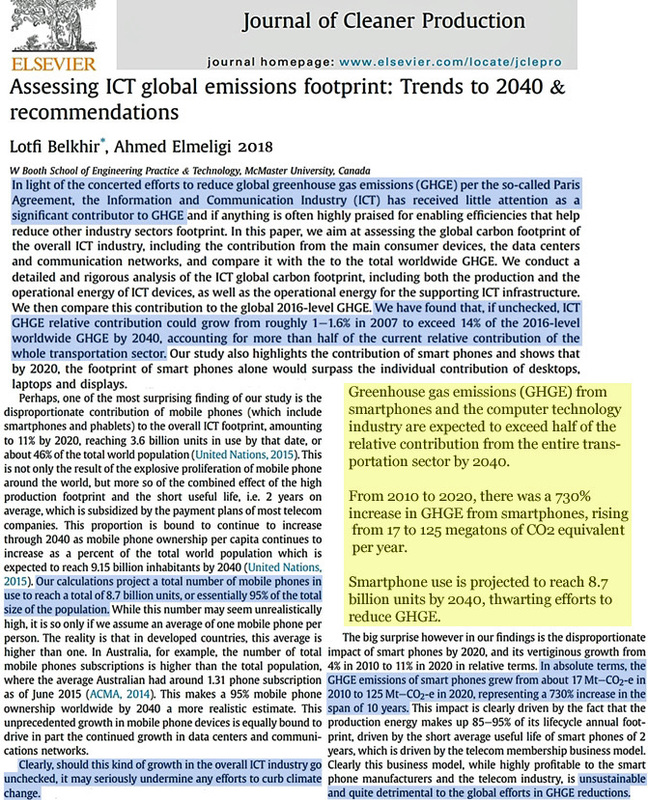 Smartphones are poised to add 125 megatons of CO2 equivalent to the atmosphere next year. This will eventually drive 30,000 species a year to extinction, as you are aware. Are you willing to give it up, SebastianH? Save the planet? Save the species? If not, why? How seriously do you want to be part of the solution? Thank you for a very good example of the way people who want everything to stay the same argue. Nope, that is not a solution, Kenneth. The solution is education, innovation and finally taking this seriously. All of which people who believe in the gospel of advocates like Ed Berry, are actively trying to prevent for whatever strange purposes. The solution is education, innovation and finally taking this seriously. So if you take reducing your own CO2 emissions seriously, why wouldn’t you do your part and eliminate your smartphone use – and encourage others to do the same? You’re part of the problem. After all, 125 megatons of global warming pollution (CO2) equivalent will be dumped into the atmosphere next year — and part of that is your fault. Why isn’t it a solution to give up that which is not essential to your existence. You can live without a smartphone. You’ve been educated on what smartphones do to heat up the planet, and yet when it comes down to actually doing something about it, you don’t take it seriously enough. By the way, in what way are those who agree with Dr. Berry opposed to innovation? Be specific. Have they made statements about their opposition to new clean and reliable energy technologies? I know I sure am interested in innovation and clean and reliable energy. I’m also an advocate of nuclear power. Zero emissions. You? Keep up the good work! Trolls abound, spreading ignorance & climate religion. BTW, it’s still the Basler Zeitung, not the “Baseler Zeitung”, even if that concept might appear difficult to digest for our northern neighbors. Not just the article with Salby video, but also the comments to it, are very interesting. Thx. Only looked at the part that you “marked” here … so the argument is that it’s not science? So can we conclude then that all you guys bring up against it isn’t science either? 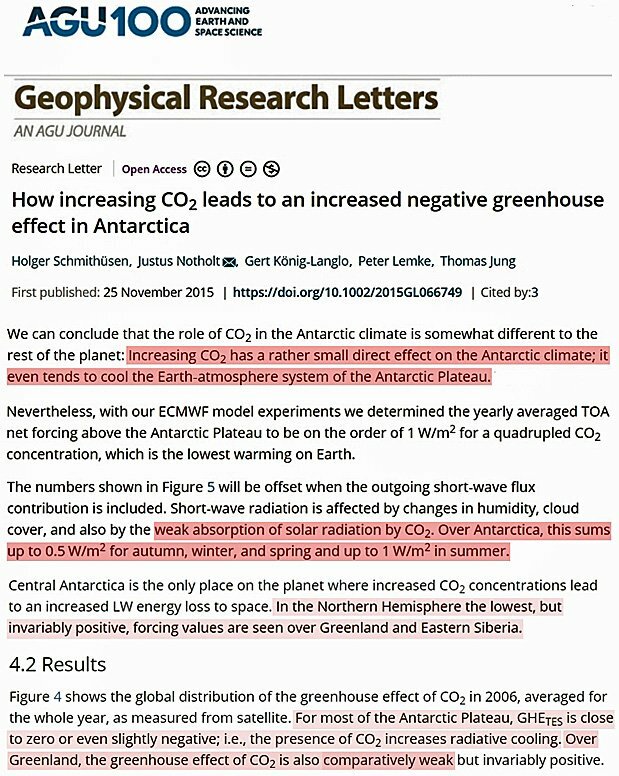 There is also nothing vague about the physics behind CO2 caused warming. I stopped the video when Harde came up … not seeing the problem with his infamous paper and view about what causes the CO2 concentration to increase disqualifies anyone as sudo-scientist. Sorry. 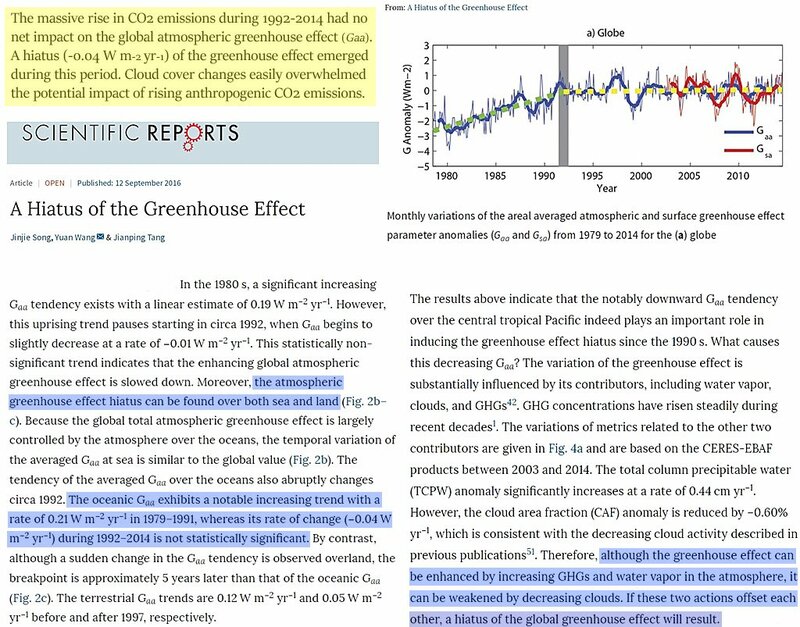 Trolls here, like warmists everywhere, claim that “the science is settled.” The only “proof” they occasionally offer, other than their own assertions, is some other activist making the same assertions. And when you insist on something more substantial, they attack you. Yes it is necessary to have such a belief system otherwise how could you tax the sheeple for the air they breath. How is protesting or whatever it is going to help? The child protesters will leave the protest, ride away in some form of fossil-fueled transportation and probably stop at a fast food joint to satisfy their craving for the one thing they need the most, food, carbohydrates. The amounts of fossil fuels needed for the children to enjoy a basket of fish and chips is astounding. The children need to do the math and should feel guilt-ridden for doing what they have done, eat. Reminds me of the children’s crusade. sasquatch, Thank you for mentioning the Children’s Crusade, which brings me to another topic: The Pied Piper of Hamelin. Is the story of the the Pied Piper based on the fact of the Children’s Crusade, a satire, which the authors had to disguise given the extreme religious censorship of the day? It just that today we have replaced the lone Pied Piper with a full blown Brass Orchestra and Oompah Band! SebastianH I have followed you around different blogs on the internet. 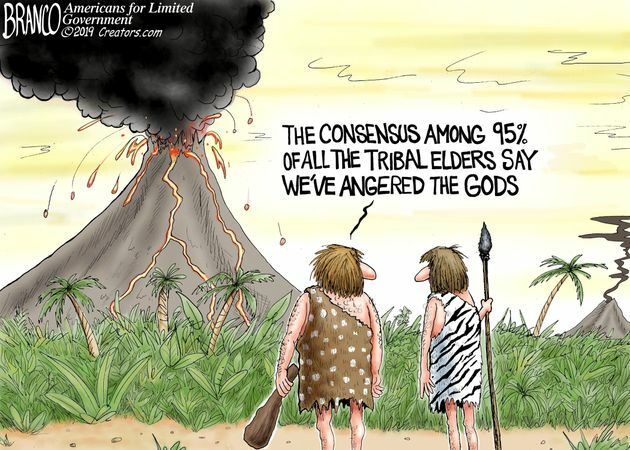 Skeptics have asked you for evidence of man made climate change. You have never provided any. You are 1 big bullshitter espousing the religion of Al Gore’s Church of Climatology. Indeed there is. 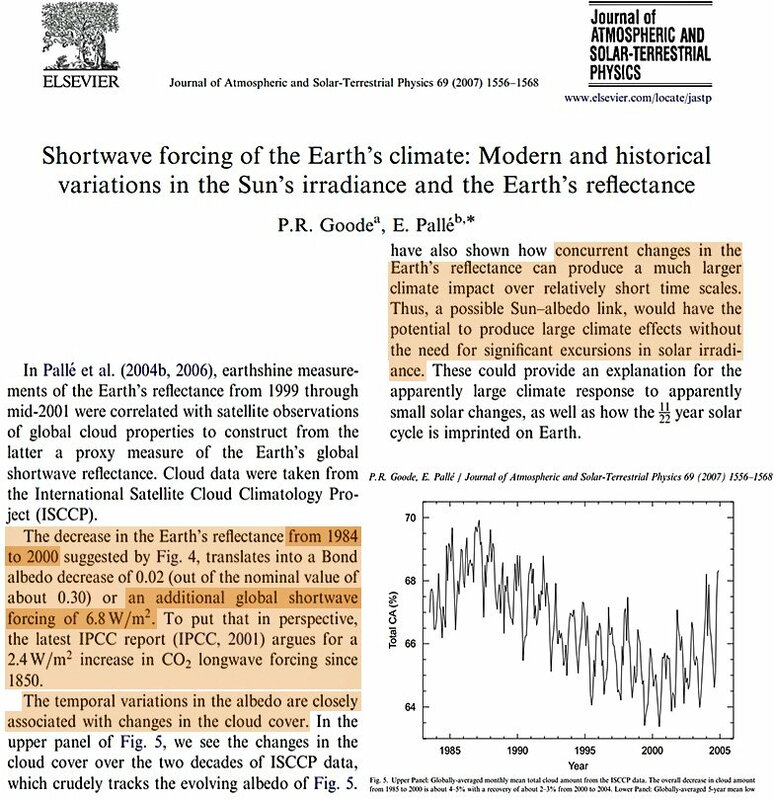 In recent decades, there has been a global-scale reduction in cloud cover that has allowed more SW solar radiation (6.8 Wm-2 between 1984-2000 per satellite observations) to be absorbed by the Earth system (oceans), explaining the positive radiative forcing. That’s 4.25 Wm-2 per decade. In contrast, the alleged impact of 22 ppm CO2 on the radiation budget is a paltry 0.2 Wm-2 per decade, which means that cloud cover changes have wiped out the GHE’s influence on temperatures in recent decades. 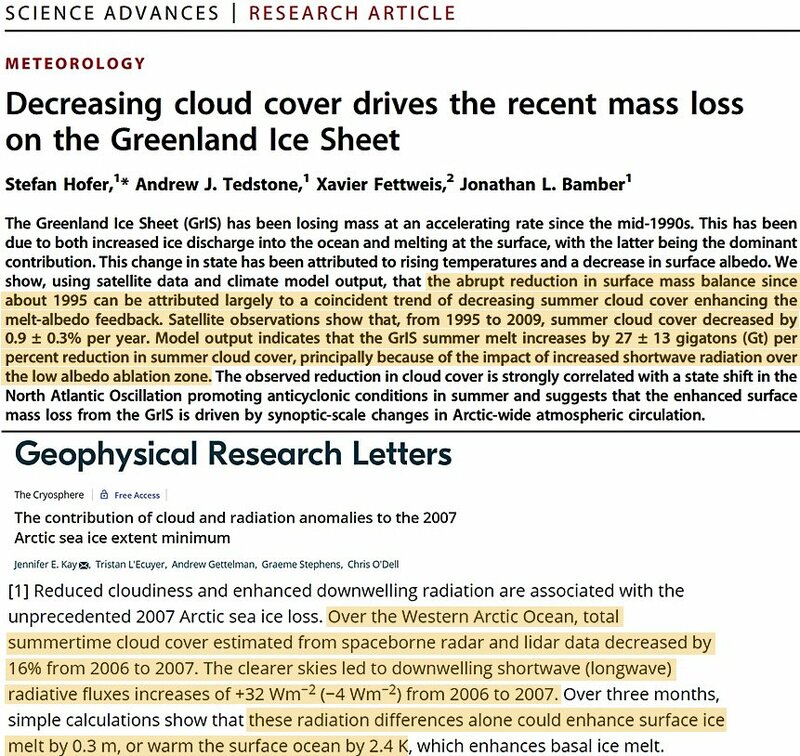 The cloud cover reduction also can provide the natural explanation for the post-1995 Greenland ice sheet melt and Arctic sea ice decline. Instead you guys claim we would be arrogant to believe humans could assert such influence that is reserved to gods (nature). No, we don’t talk about gods. Instead, we find it amusing (and perhaps a little sad) that we’re in 2019 and there are still those who believe that an alleged CO2 forcing of 0-1 Wm-2 is responsible for melting the Antarctic ice sheet…or that you believe a 0.1°C change in ocean temps during the last 50 years (or a 0.02°C change since 1994) is somehow significant (“such a difference”) when viewed against natural background. Kenneth, you are once again doing what you always do regarding this topic. You leave out half of the equation and compare things that can’t be compared like this. And no, that is not a perfectly fine explanation. Yes you are talking about gods. Big nature, the mysterious master of everything. How dare mankind to be so arrogant to believe their tiny amount of emissions does affect the climate. That’s religious talk. You believe everything can be just explained as gods will (pardon, natural variability) since that has always be the case. It IS really a problem that the alarmists have a Mount Everest of inconvenient facts, trends and datasets to deal with. How dare mankind to be so arrogant to believe their tiny amount of emissions does affect the climate. What if I said that I agree that our emissions do affect the climate? I just don’t think it’s a considerable amount. You, on the other hand, believe that “all of the warming (increase in OHC content as well as atmospheric warming) is caused by human activity.” 100% human attribution. Nature contributed 0%. That’s a rather extreme position to take, don’t you think? No, I don’t. And I can see why Pierre decided to snip the rest of your comment (whatever it was). When you’ve been shown up in the comments, you resort to the insults, straw men, you-believe-in-unicorns garbage. I don’t like the term alarmists, but since you are clearly meaning AGW proponents with it, I’m afraid someone needs to tell you that you mixed up who has a mountain of inconvenient facts, trends and datasets to deal with. Or rather, there is a certain group of people who finally need to understand what they are arguing against. 100% human attribution. Nature contributed 0%. That’s a rather extreme position to take, don’t you think? No it’s not. An extreme position would be trying to tell yourself that humans are not responsible at all or only in a very small way. No, I don’t. And I can see why Pierre decided to snip the rest of your comment (whatever it was). Just don’t take things literally all the time. “god” and “nature” become interchangeable when climate skeptics debate that humans play no role. That should have been clear from what I wrote … sarcasm, metaphors and analogies are completely lost on you, I know. I am sorry to bring you in those situations from time to time. …you’ resorting to facts and logic. You are SO unfair! And also the denial of nature controlling the weather and climate. Must be a true believer in the (virtual) magic powers of humans! This part of your comment demonstrates that you don’t understand what you are arguing against (nobody is saying humans control the distribution) and secondly how skeptics like you try to mark heretics as insane in those instances. In other instances it becomes a question of age or experience. SebH is the first** anti-science greenie I’ve ever seen to accuse us of believing that natural processes are gods, just because we simultaneously refuse to believe in his CO2 fairies. 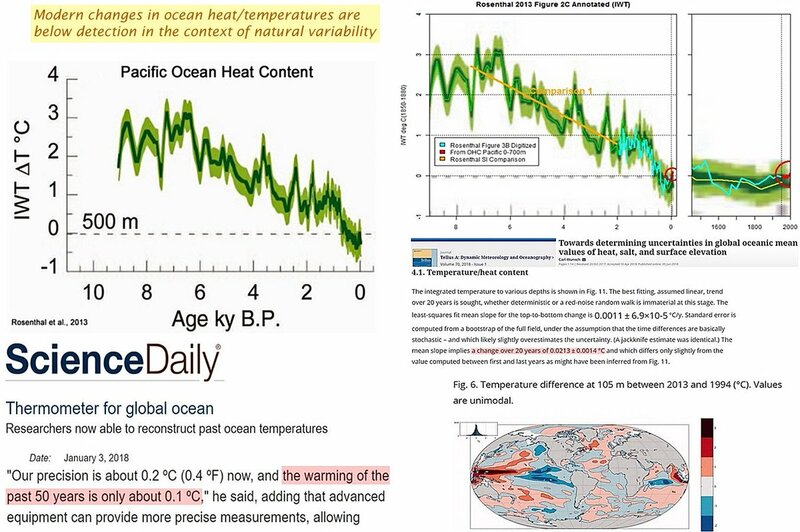 I’m glad to see like me you are arguing against people who ‘understand’ (aka believe) that CO2 causes the oceans to warm-up, the same people who believe that for the first time in archeological history atmospheric CO2 levels threatens to overheat the atmosphere. The same people that believe that the oceans are shortly going to drown islands and cities. Like me, you’re against people who understand (aka believe) nonsense like this. For they also are likely to believe that thousand of animals going extinct every year because of a small rise in atmospheric CO2, or those same people who fail to acknowledge that our science can not yet adequately explain how the weather or climate functions. They can not properly account for how energy is distributed/dispersed through clouds or the the clouds’ scattering effects, or the effects of the sun on our climate — in the models all these are reduced to (adjustable, tweakable ) variables and so are ignored. These people fail to see science (especially climate science) as an advancement of human knowledge and understanding, is currently error prone, and very incomplete. These same people believe others are wrong in understanding that nature and not humans control the climate. An understanding that comes from both what is (according to evidence) known and an appreciation of what is not. But of course SebastianH (like so many cAGW believers) has not any of this skepticism because he believes climate science is complete, explains all the subtle changes in the natural world completely, and is immutable — even when the ‘theory’ (aka supposition) changes. Actually he knows (but does not appear to understand or appreciate) enough not to be bothered by the glaring shortcoming and inconsistencies of his ludicrous CO2 supposition. And when it finally dawns on them how wrong they’ve been, will that finally shock them into striving for a sober and healthy skepticism, or will it just motivate them to look for another cause to believe in?